There are three global religions which believe in monotheism - that God is one and there is only one God - Christianity, Judaism, and Islam. But only within one - Christianity - are there two competing	beliefs as to the manner of the existence of the one God. 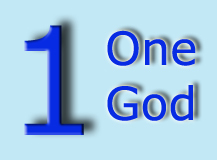 One group believes that the one God eternally exists in three persons - Father, Son, and Holy Ghost. The other group believes that Father, Son, and Holy Ghost are three 'manifestations' of the one God. Although ultimately only the Holy Spirit can open a person's understanding to the Godhead, avoiding unbiblical terms and phrases will help tremendously. That's why we advocate staying away from terms such as 'trinity', '3 in 1', 'God the Son', and other terms and phrases not found in any English translation. You will search in vain for these terms and phrases in the original languages of the Old Testament - Hebrew and Aramaic - and the language of the New Testament - Greek. You will also not find a shred of evidence that the culture of the ancient Hebrews or that of the early Christians supported such concepts. 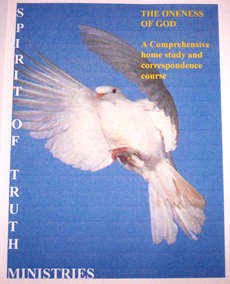 The oneness of God website will examine the scriptures in detail to reveal the truth of the Godhead. In addition, we look to history to find any infiltration of pagan concepts into Christianity. Early church history provides an abundance of evidence of such contamination. Even among evolutionist scientists and the intellectual establishment there is no denial that dinosaurs once roamed the earth. But there two points which put Bible-denying evolutionists and Bible believing Christians on divergent paths. And that is the time element. 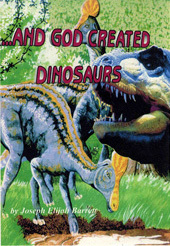 Evolutionists believe that dinosaurs lived 65 million years before man lived. Man has always been fascinated with these mysterious creatures. Look at the movies from Hollywood which have featured dinosaurs. In the '50s and '60s Hollywood produced many sci-fi pictures which had some variation of the dinosaur. There was The Beast From 20,000 Fathoms, Gorgo, King Kong, The Giant Behemoth, and many others. Oneness of God. © 2012 - 2019. All rights reserved. When I was growing up in the '50s and '60s, there was no obesity epidemic, and children were not developing old-age maladies such as heart disease. Cancer, Alzheimer's, and autism were virtually unheard of. Living a healthy lifestyle was a lot easier. We all realize that water is essential for physical life, but how many have considered its spiritual importance? Are the following words or phrases in the Bible?